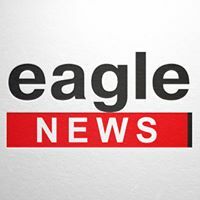 News TV Channel / Eagle News, formerly known as Eagle TV is a television broadcaster in Mongolia. The station focuses on independent news, uncensored live audience feedback, and, formerly, Protestant Christian programming. From 1994 to 2002 Eagle Television was operated on terrestrial Channel 8 by Mongolian Broadcasting Company (MBC). MBC was a joint venture of the American nonprofit, AMONG Foundation, and Mongolia Media Corporation (MMC). Incumbent Mongolian President Tsakhiagiin Elbegdorj-then well known Mongolian democracy leader and a Member of Parliament helped to create Mongolia's first independent TV station Eagle Television in 1994. In 2002, the American Tom Terry took over the management of MBC and Eagle TV.